PROFESSIONAL QUALITY REPLACEMENT HOSE FOR LAVOR MACHINES. COLORADO & COLUMBIA : ALL MODELS, DANUBIO 1211 LP, DANUBIO 1612 LP, FKX 1018, 1321, 1123, HW 28, HYPER : ALL MODELS, IDRO BOX : ALL MODELS, JET FIRE, JWD 400 CS, LKX : ALL MODELS, LMX 120, LMX 1211 XP, LMX 1509 XP, LMX 1515 XP, LMX 1713 XP, LMX 200T, LMX 2007 XP, MAGNUM 2030, MAGNUM 3317 LP, MEK 1108, MERLION 250 BAR, MERLION 350 BAR, MICHIGAN 1515 XP, MICHIGAN 2015 XP, MISSOURI HW, MISSOURI 1310, NPX : ALL MODELS, ONTARIO 34XP, ONTARIO 110V, ONTARIO 1515 XP, ONTARIO 2015 XP, RENO 1315 XP, RIO, RIO 1108, RIO 1123 HOT WATER, TEKNA : ALL MODELS,THERMIC 5/S, THERMIC 10 HW, THERMIC 11H & 13H PETROL, THERMIC 17, TORMENTA 28, VICTORIA : ALL MODELS, VULKER, YUKON HW, PLUS MANY OTHERS. NB. MACHINES WITH INTEGRAL HOSE REELS .... 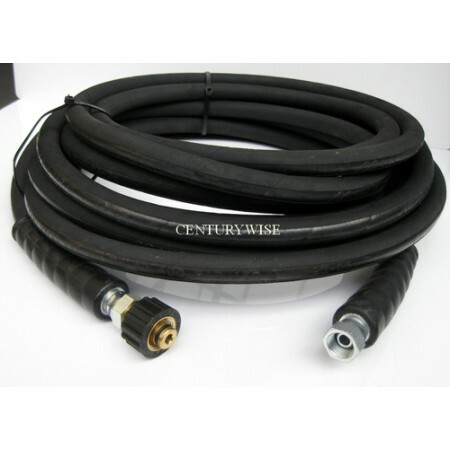 HOSE WILL NOT WRAP ROUND HOSE REELS.